The U.S. Justice Department said Tuesday it will support local officials in hundreds of lawsuits against manufacturers and distributors of powerful opioid painkillers that are fueling the nation's drug abuse crisis. The move is part of a broader effort to more aggressively target prescription-drug makers for their role in the epidemic, Attorney General Jeff Sessions said. The Justice Department will file a statement of interest in the multidistrict lawsuit, arguing the federal government has borne substantial costs as a result of the crisis that claimed more than 64,000 lives in 2016. The Trump administration has said it is focusing intensely on fighting drug addiction, but critics say its efforts fall short of what is needed. Trump signed off this month on a bipartisan budget deal to provide a record $6 billion over the next two years to fight opioids, but it's not yet decided how that will be allocated. The statement of interest was the latest move by the Justice Department, which has also sought to crack down on black market drug peddlers and doctors who negligently prescribe. It could increase the role of the federal government in talks aimed at reaching a settlement between government entities, drugmakers, distributors and others. A federal judge in Cleveland is overseeing the talks as an attempt to resolve the case rather than hold a trial involving more than 370 plaintiffs, mostly county and local governments. The talks also include a group of about 40 states that are conducting a joint investigation of the crisis but which have not yet sued, as well as states that have sued in state courts. Targets of the lawsuits include drugmakers such as Allergan, Johnson & Johnson and Purdue Pharma, and the three large drug distribution companies, Amerisource Bergen, Cardinal Health and McKesson. 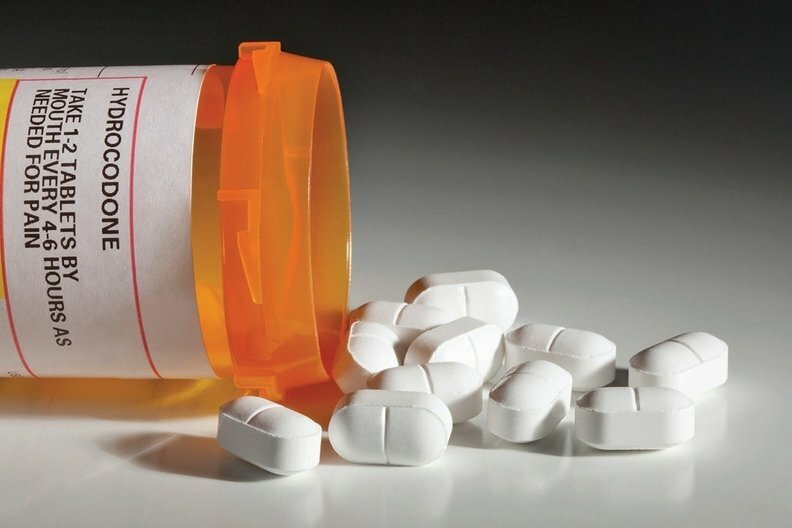 Drug distributors and manufacturers named in these and other lawsuits have said they don't believe litigation is the answer but have pledged to help solve the crisis. Any settlement deal could include billions of dollars in payments that could be used for treatment programs, abuse prevention and to cover some of the costs incurred by government dealing with the crisis. A filing could also put the federal government in line to receive some of the payouts in a deal. But any settlement is not likely to cover the cost of the crisis. A White House report last year estimated the annual cost at about $500 billion, including deaths, health care, lost productivity and criminal justice costs. "It's a game-changer," Ohio Attorney General Mike DeWine said of the Justice Department's involvement. "It's a real realization of what has been going on." The latest effort by the Justice Department targets powerful, but legal, prescription painkillers OxyContin and Vicodin, which have been widely blamed for ushering in the drug crisis. But prescribing of those drugs has been falling since 2011 due to policies by government, medical and law enforcement officials designed to reverse years of overprescribing. The majority of opioid deaths now involve illegal drugs, especially the ultra-potent opioid fentanyl. Deaths tied to those fentanyl and related drugs doubled in 2016, to more than 19,000, dragging down Americans' life expectancy for the second year in a row.